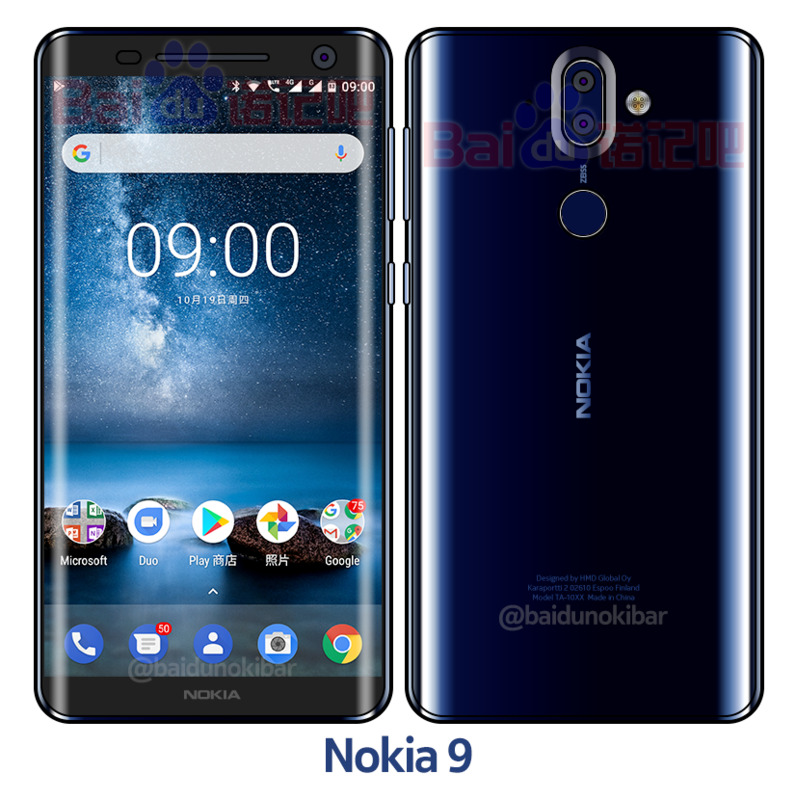 We saw what the upcoming Nokia 9 looks like and now, courtesy of the same source, we get to see it in its Polished Blue variant. Nothing outside of the color has changed - the phone has a dual camera on the back (probably Zeiss-branded), a fingerprint reader, again on the back, and a curved edge to edge display on the front (likely an OLED). It's expected that the Nokia 9 will have either 6GB or 8GB of RAM, 128GB of storage, possibly IP68 water proofing, wireless charging and maybe even an Iris Scanner. Expect a price of around €749 in Europe, but we are yet to hear on possible launch date. Nova series are also good. Their design looks marwelous. They have more good than just honor series but honors are great phones of course.